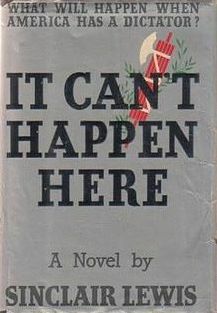 It Can’t Happen Here is a semi-satirical 1935 novel published during the rise of fascism in Europe. 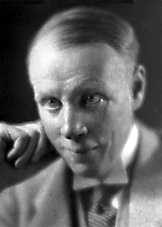 The novel describes the rise of Berzelius “Buzz” Windrip, a politician who defeats Franklin Delano Roosevelt (FDR) and is elected President of the United States, after fomenting fear and promising drastic economic and social reforms while promoting a return to patriotism and “traditional” values. After his election, Windrip takes complete control of the government and imposes a plutocratic/totalitarian rule with the help of a ruthless paramilitary force, in the manner of Adolf Hitler and the SS. The novel’s plot centers on journalist Doremus Jessup’s opposition to the new regime and his subsequent struggle against it as part of a liberal rebellion. Epub 20171242.epub If you cannot open a .mobi file on your mobile device, please use .epub with an appropriate eReader. Mobi/Kindle 20171242.mobi Not all Kindles or Kindle apps open all .mobi files.